An often-forgotten MacLeod castle, Dunscaith is today a ruin on the Isle of Skye. It is in Sleat, the traditional lands of MacDonald of Sleat. It was their main seat in the 1400s-1600s. It was probably built in the 1200s on the site of an earlier fort. At that time, MacLeods would have possessed all of Skye through inheritance from the Norse vicecomes (Latin for Viscount or Sheriff, but really just meaning he was the Lieutenant of the Crovan Dynasty Hebridean King, Olaf) Pal Balkison. 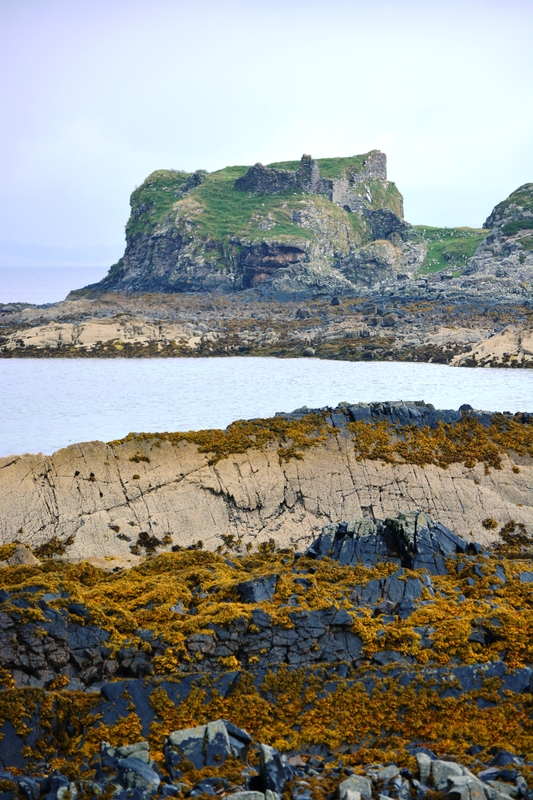 The older fort may have been the location where the character Queen Sgathaich in the Irish Ulster Cycle trained the hero Cuchulainn on Skye. The origin of the name Dunscaith (which means Fort of Shadow) probably comes from the story, as the Castle in Gaelic is called Dùn Sgàthaich. At some point in the 1400s, when the MacDonalds expanded onto Skye, the castle was taken from the MacLeods by the MacDonalds. A few times it changed hands between MacDonalds and MacLeods, including some time being garrisoned or belonging to the MacAskills, before it was eventually forfeit to the King. If you do go to visit the ruins on the Isle of Skye, the drive is rather exciting. It begins by coming off the main road up a small side road, becoming very narrow singletrack with many hills and blind corners. At times, we could not see over the hood where the road was, and only the cliffs and sea ahead. Driving on Skye is worthy of a post of it’s own, but this was exceptionally memorable. 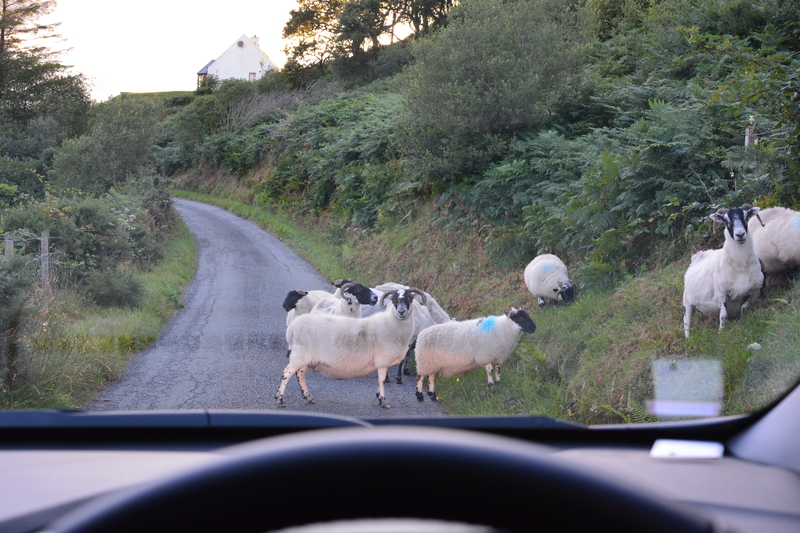 There are sheep in the road often, and they know they have right of way. Read more about Dunscaith at the official site of the Royal Commission on the Ancient and Historical Monuments of Scotland. Another source about many of the castles in the area is The Mediaeval Castles of Skye and Lochalsh by Roger Miket and David L. Roberts. This entry was posted in Isle of Skye, Parliament, Scotland and tagged Castle, Dunscaith, Dunscaith Castle, History, Irish Ulster Cycle, MacDonald, MacLeod, MacLeods, Skye. Bookmark the permalink. ← Salado Highland Games are underway!